The history of gin and it's humble beginnings as a medicinal libation in Holland to its current day ubiquity in the fine spirit industry is a curious tale indeed. As discussed is a previous post, gin has its roots in the Lowlands as a medicinal known as Jenever. British troops fighting in the Low Countries during the Thirty Years' War were given 'Dutch Courage' during the long campaigns in the damp weather for the warming properties of gin. Eventually they started bringing it back home with them, where it was already often sold in chemists' shops. Distillation was taking place in a small way in England, but it now began on a much greater scale, and the new drink became a firm favorite with the poor. What entailed was a story of politics, profits, and taxes that would rival any modern day intrigue. Not surprisingly, gin became popular in England when Dutch-born William of Orange took the English throne in 1688. Through a series of statutes, he actively encouraged the distillation of spirits in England. Anyone could now distill gin by simply posting a notice in public and just waiting ten days. By the end of the century, England was at war with France. So, to protect the economy and help the war effort, the government put a heavy duty on the import of spirits and lifted restrictions on domestic spirit production. It was an attempt to supplant French made brandy with English gin. In the early 18th century, eager to create a domestic market for corn, Parliament effectively deregulated the distillation and sale of intoxicating spirits — especially gin. In doing so, they created a healthy market for poor quality grain – which greatly benefited the many landowners who sat in Parliament. The resulting trade also created a rich source of tax revenue. Politics, taxes and manipulation permeate history. 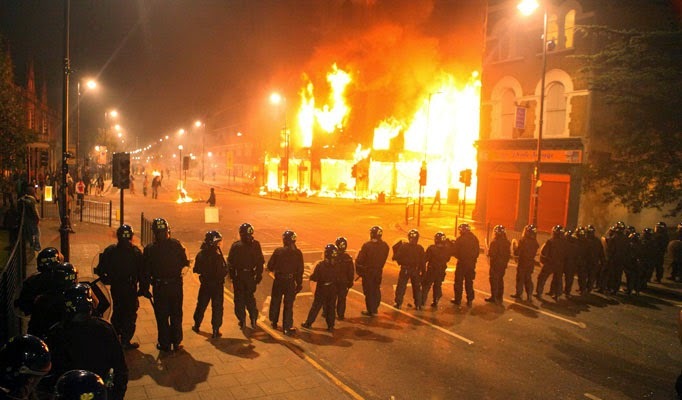 As public outcry grew, the government was forced to take action. The 1736 Gin Act taxed retail sales at 20 shillings a gallon and made selling gin without a £50 annual licence illegal. In the next seven years, only two licences were taken out. Whereas reputable sellers were put out of business, bootleggers thrived. Their gin, which went by colorful names such as ‘Ladies Delight’ and ‘Cuckold’s Comfort’, was more likely to be flavored with turpentine than juniper. At worst, it was poisonous, containing horrifying ingredients such as sulphuric acid. This was akin to the illegal bootleggers production of bathtub gin during the prohibition years of the early 21st century in the United States. 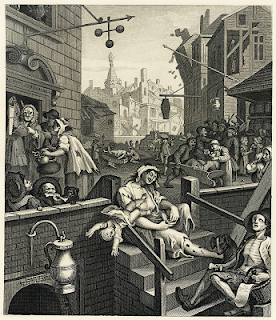 Hogarth's engraving "Gin Lane" (pictured above)is a well known image of the gin craze, and is often paired with "Beer Street", creating a contrast between the miserable lives of gin drinkers and the healthy and enjoyable lives of beer drinkers. I could not imagine a more false juxtaposition. 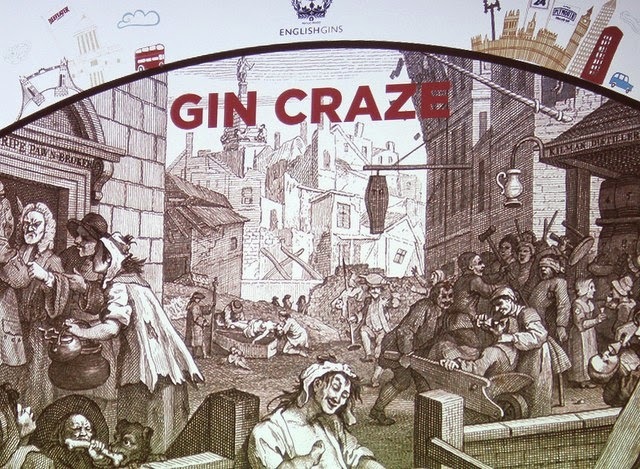 The Gin Act of 1736 led to the Gin Riots led by an angered population of gin enthusiasts and fueled by this increased production of bootleg gin. Eventually, a more reasonable legislative effort in 1751 began to curb the rampart drunkenness of the multitudes. It was aided by rising food costs and decreased wages leaving less disposable income to purchase Mother's Ruin. Prominent anti-gin campaigners of the day included Henry Fielding, whose 1751 'Enquiry into the Late Increase in Robbers' blamed gin consumption for both increased crime and increased ill health among children. The History of Tom Jones, A Foundling, for which Fielding is much better known is, however, a far better read. 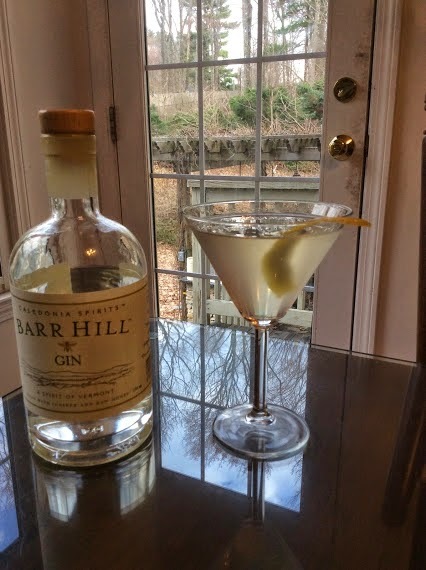 So, as I enjoy a Mother's Day dinner out with the family at a nice restaurant, I will order that most eloquent of drinks- The Martini, and ruminate on the somewhat lowly and tumultuous history of it's main ingredient, gin. With the warmer weather beginning to exert it's effect upon us, Mother Nature is kicking into high gear as well, with a round of activity by everything under the sun. The pear and cherry trees have blossomed and the bulbs have sprung up. All of this flowering activity is a cue for the honey bees to ramp up their production. 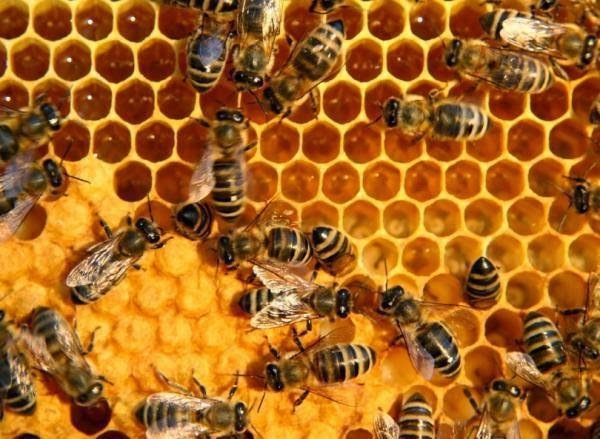 In their honey making travails, bees have been inserted into the role of fertilizer for many plants. I hadn't given that too much thought until recently being queried by my son about it. It was not the father/son birds/bees talk, but more related to the theory of evolution. He wondered how bees and flowering plants could have evolved at the exact same time. It seems more than a bit statistically improbable and incongruous how a mutually dependent system could develop simultaneously. It seems miraculous? I'm sure people with more time on their hands than me have worked out a plausible explanation. As for me, I'll sit back and enjoy the fruits of the honey bee's labor. While honey is a staple food source for the bee, bears find it simply irresistible, or so it would seem. Some researchers actually believe it is the protein rich bee larvae that the bears are after. In any event, I know of one bear that absolutely enjoys honey simply for the pure sweet taste. Only one literary allusion comes to mind when thinking of honey and bears and that can be none other than Winnie-the-Pooh by A.A. Milne. 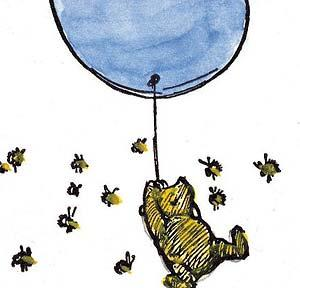 He doesn't quite achieve his goal of obtaining any honey in chapter one despite a rather clever plan of camouflaging himself as a rain cloud beneath a blue balloon meant to blend in with the sky. As he floats up to the hive, he notes, "I think the bees suspect something!" He is, of course, rescued by Christopher Robbins, honeyless. It seems that with each passing day, a new gin comes to market with a unique flavor due to a dizzying array of botanicals employed in the production. 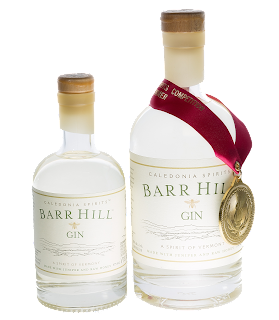 As one who appreciates the fine nuances of gin, an inordinate amount of time is spent sampling our chosen spirit, utilizing the palate to extract the origins of all those flavors. Well, Barr Hill Gin produced by Caledonia Spirits from Vermont have circumvented the process of harvesting all those botanicals. They have simply harnessed the bees of Vermont to provide an ever changing flavor of honey- talk about cheap labor! The formula is simple, neutral spirit for alcohol, juniper(because otherwise it's not gin) and honey. The honey is added at the end imparting a sweetness and a slightly amber hue. 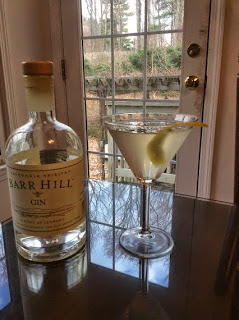 I have sampled it in a Martini with a lemon twist. It is quite sweet and extraordinarily smooth for a 90 proof gin. The honey really balances the juniper and alcohol, but the sweetness may not suit everyone's taste. The packaging is in line with the bee motif with the bottle sealed with bee's wax. There is a fine write up by Boston Magazine, but you should really taste it for yourself. I wonder what the bees would think of all this. Enjoy your honey, one way or another!